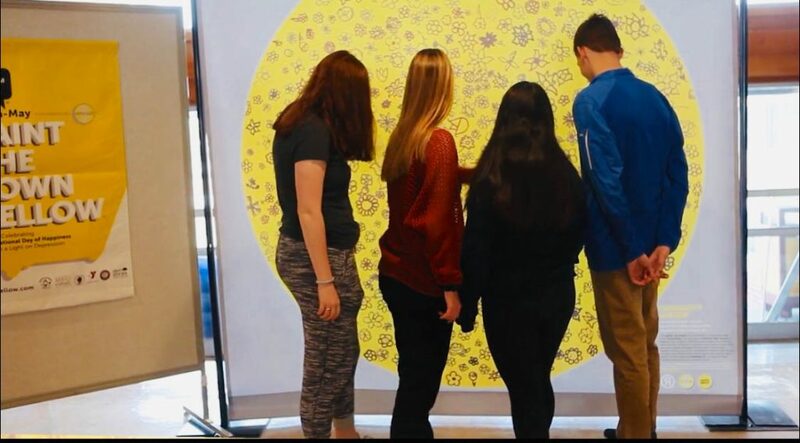 Roaming flower murals made in collaboration with hundreds of community members of all ages. 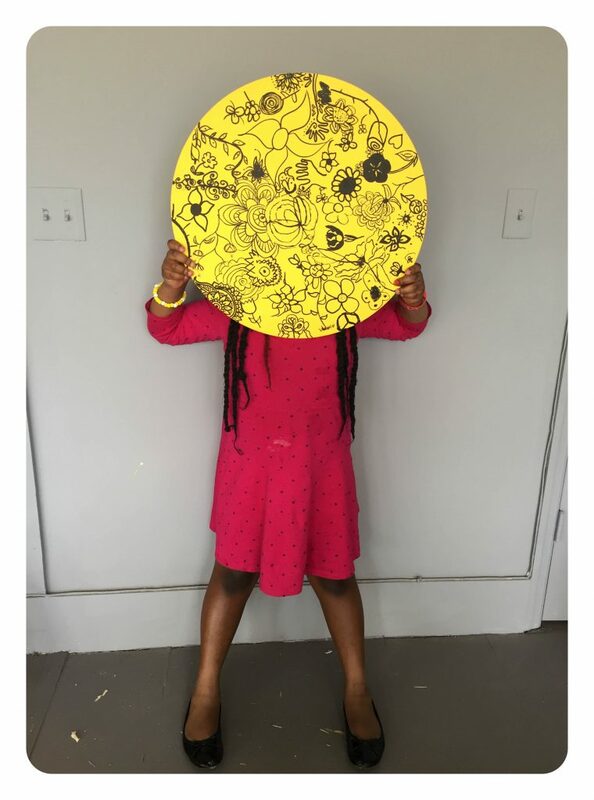 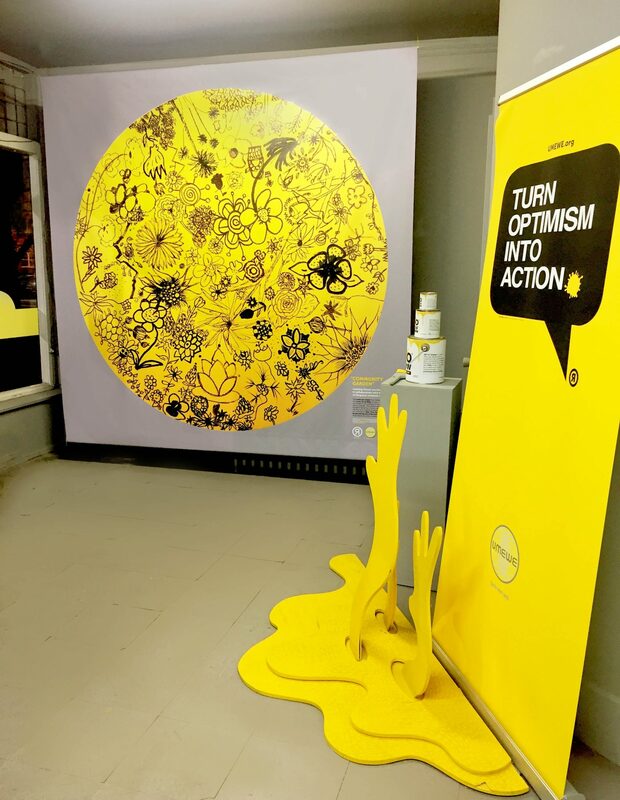 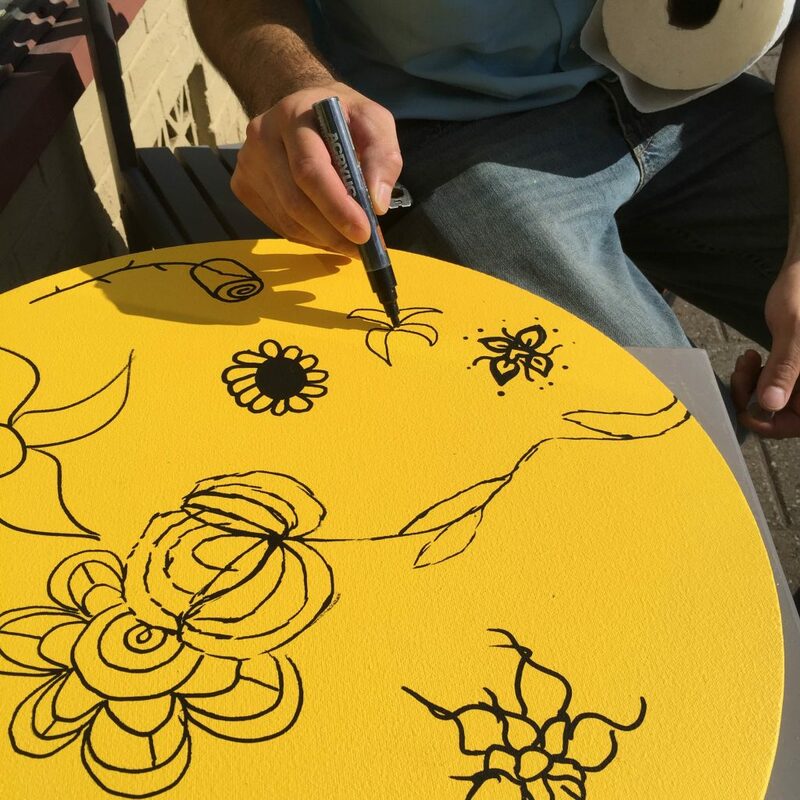 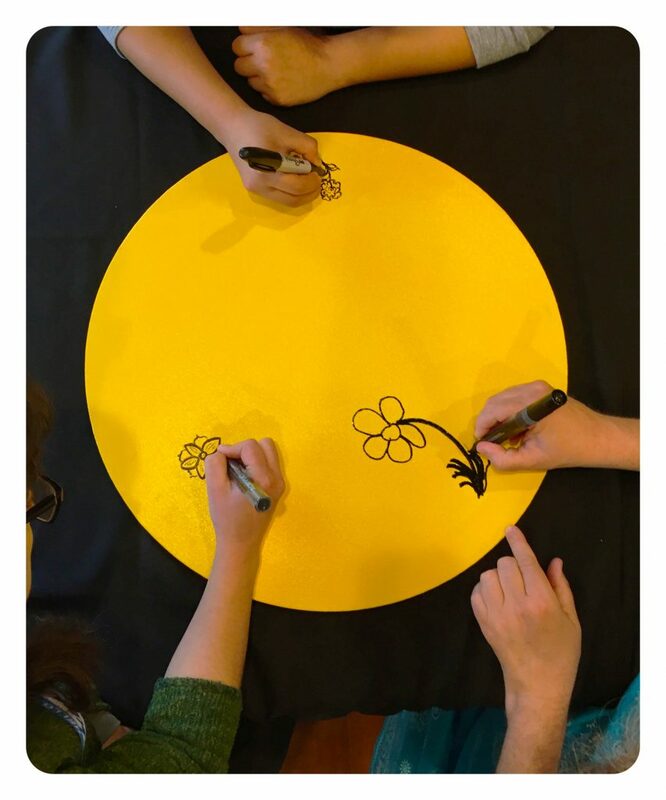 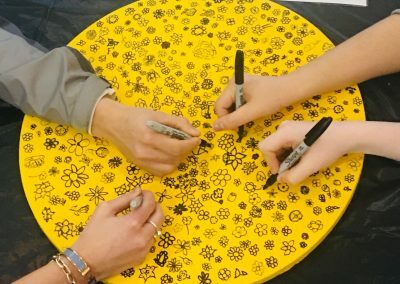 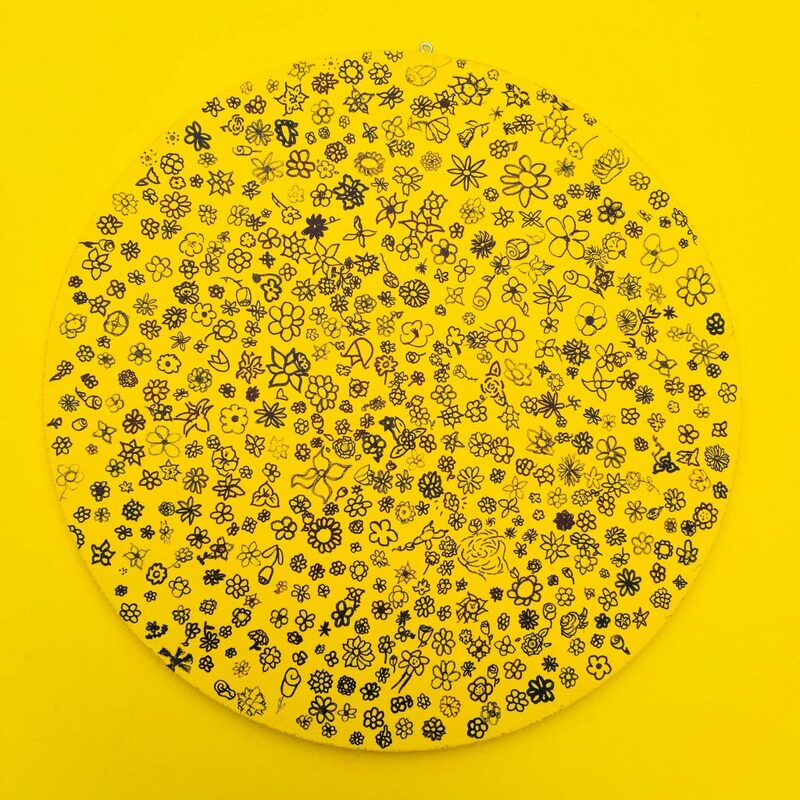 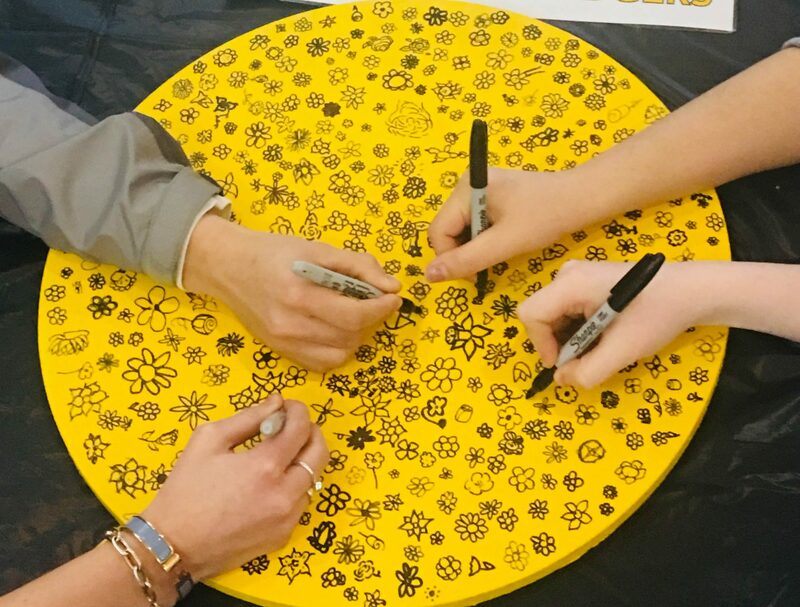 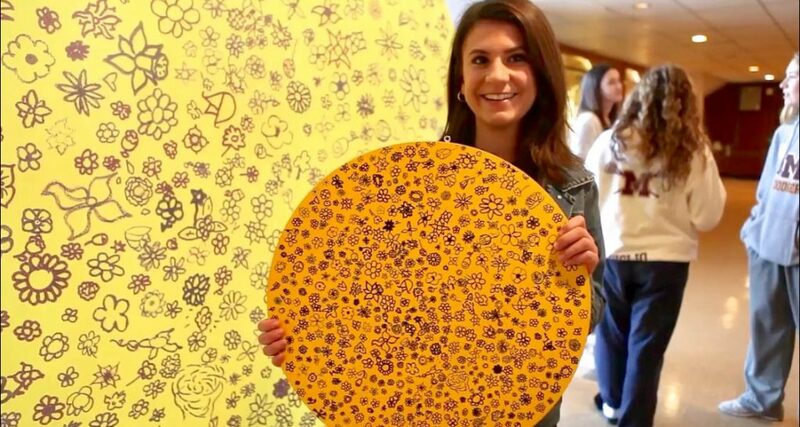 Community Garden is a public art project in which community members are invited to add drawings of flowers to small round yellow canvases. 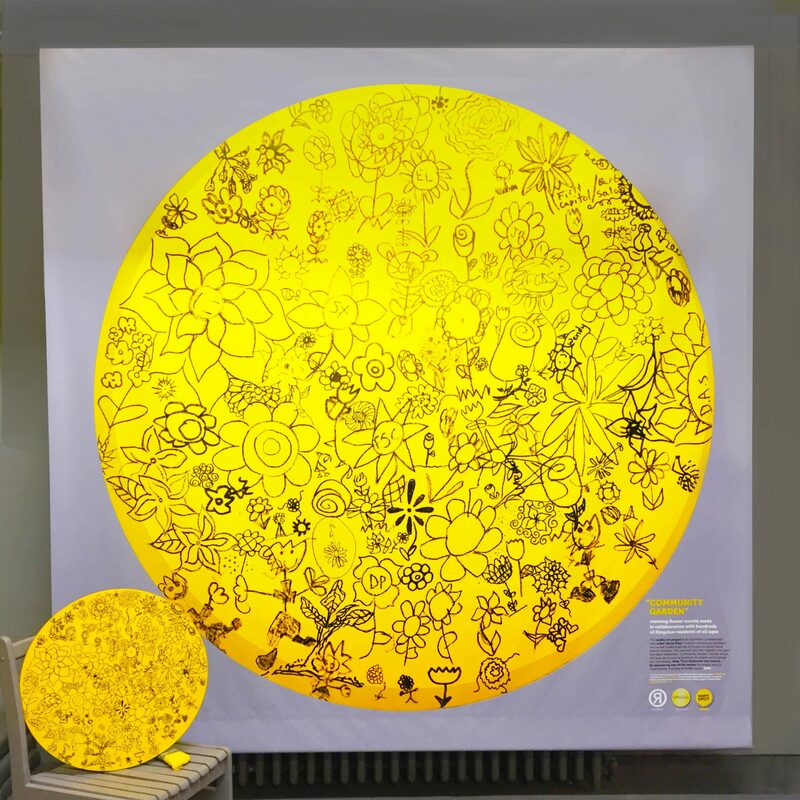 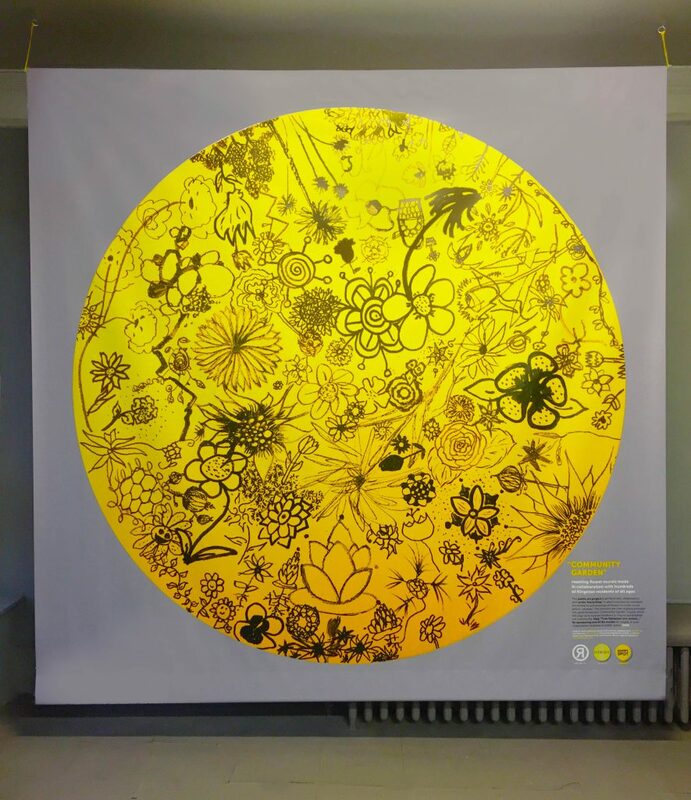 The canvases are then digitally enlarged into giant temporary “Community Garden” prints on materials like vinyl which then pop-up in unexpected locations in participating communities. 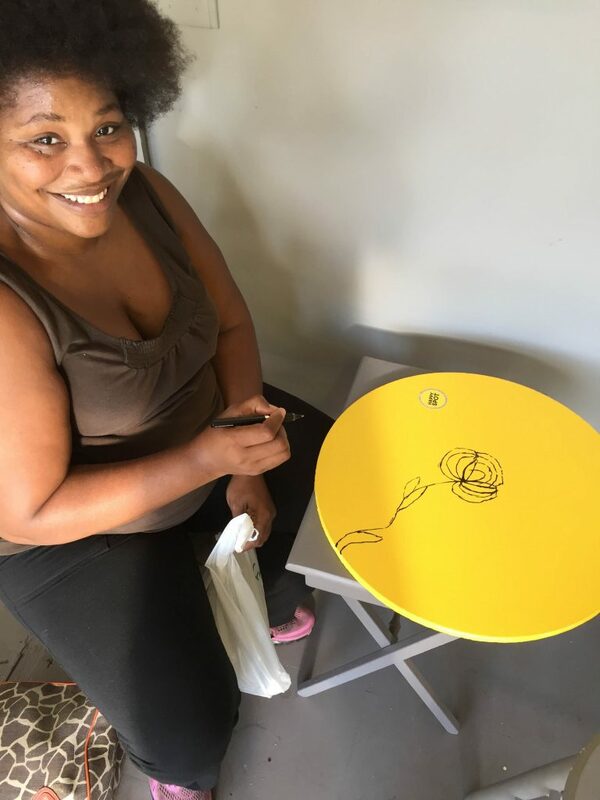 The enacting of Community Garden is an opportunity for people in a community who don’t typically interact with one other to share the same space in a creative process. 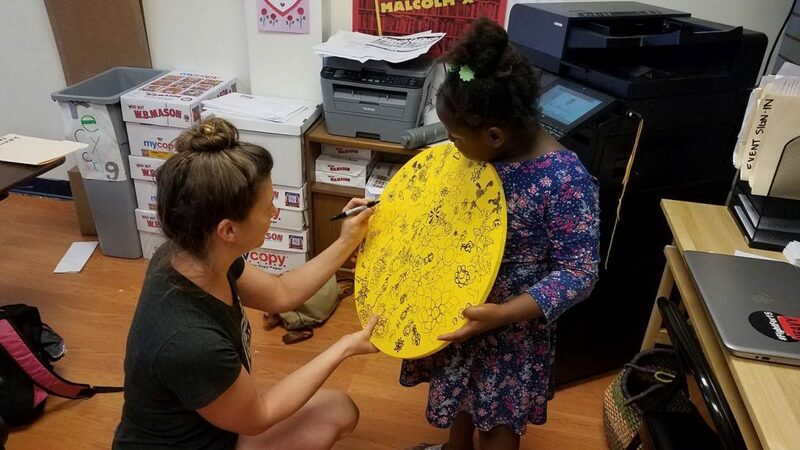 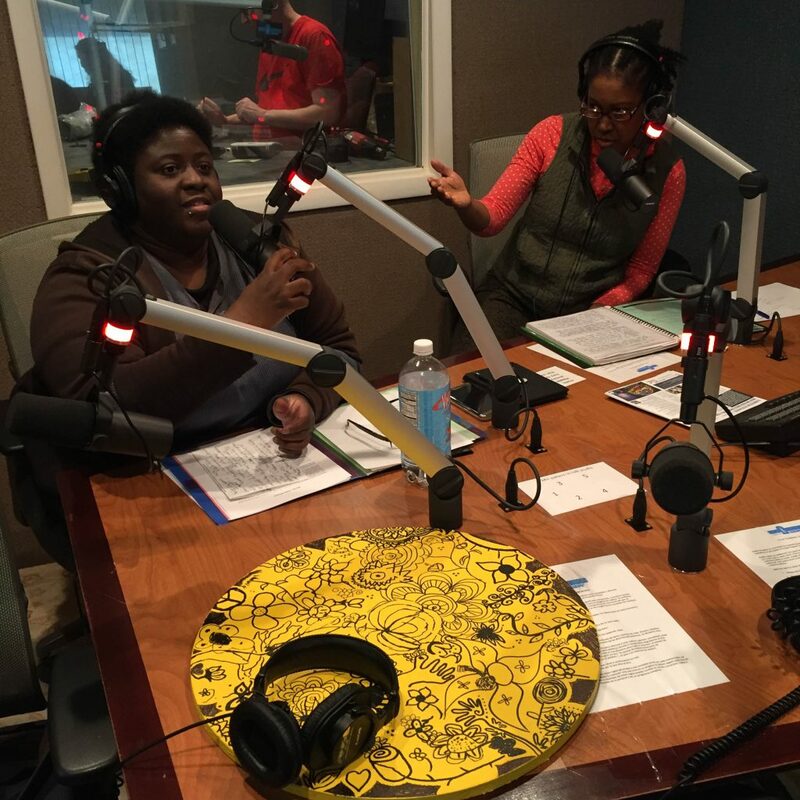 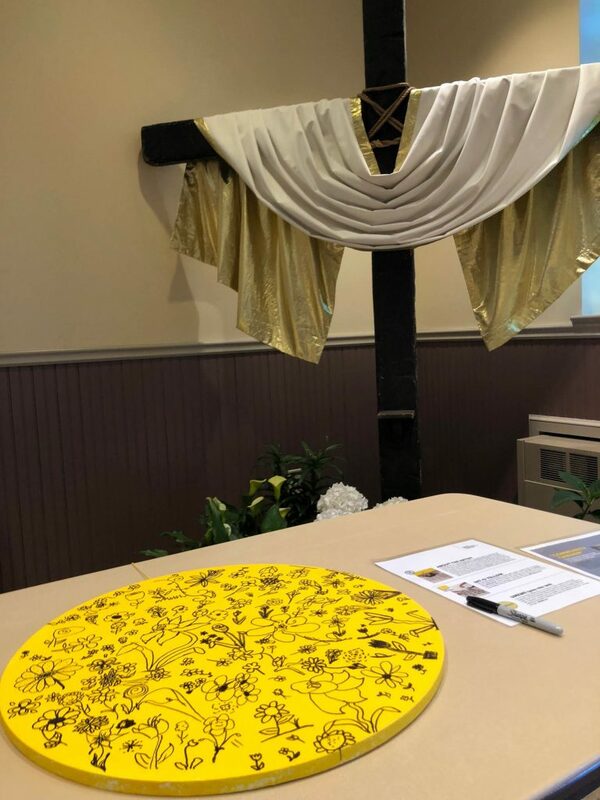 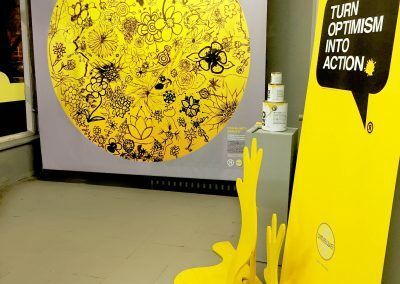 This shared experience encourages intergenerational and interfaith connection with the resulting artwork becoming a beacon of inspiration that brightens the community and is adopted by local institutions. 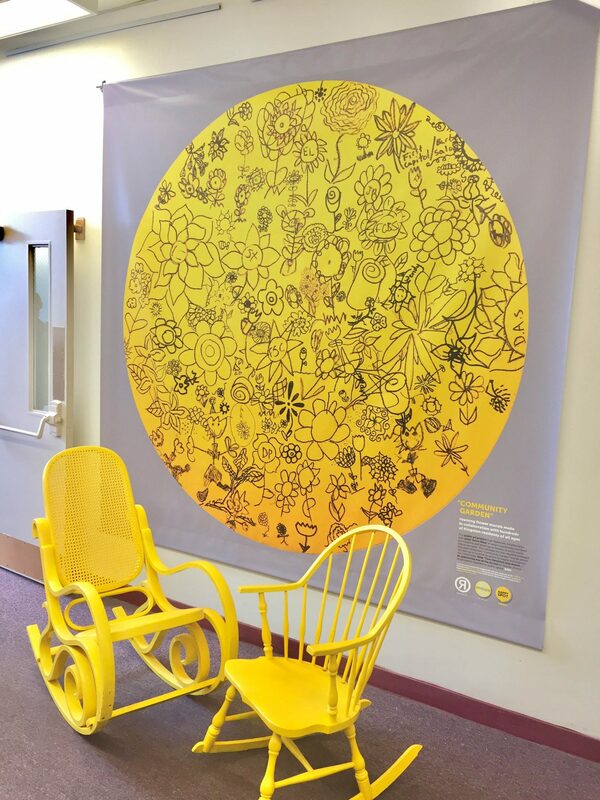 Community Garden has happened in a variety of contexts including in Madison, NJ where it cycled through different faith communities including Catholic, Presbyterian, and Baptist congregations and in Kingston, NY where it united senior citizens with preschoolers and their work together was put on display at the Kingston Public Library. 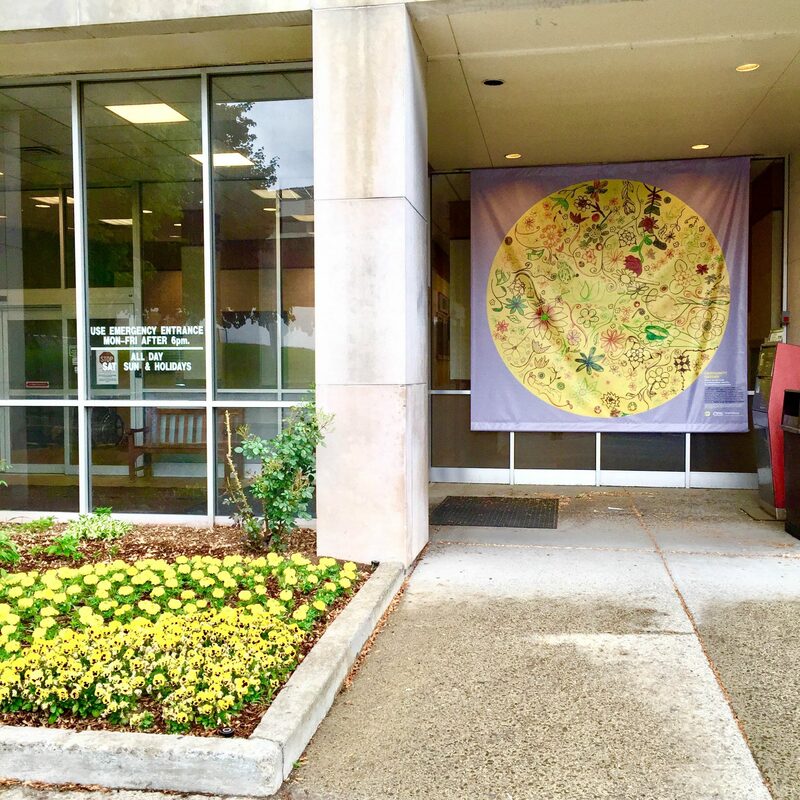 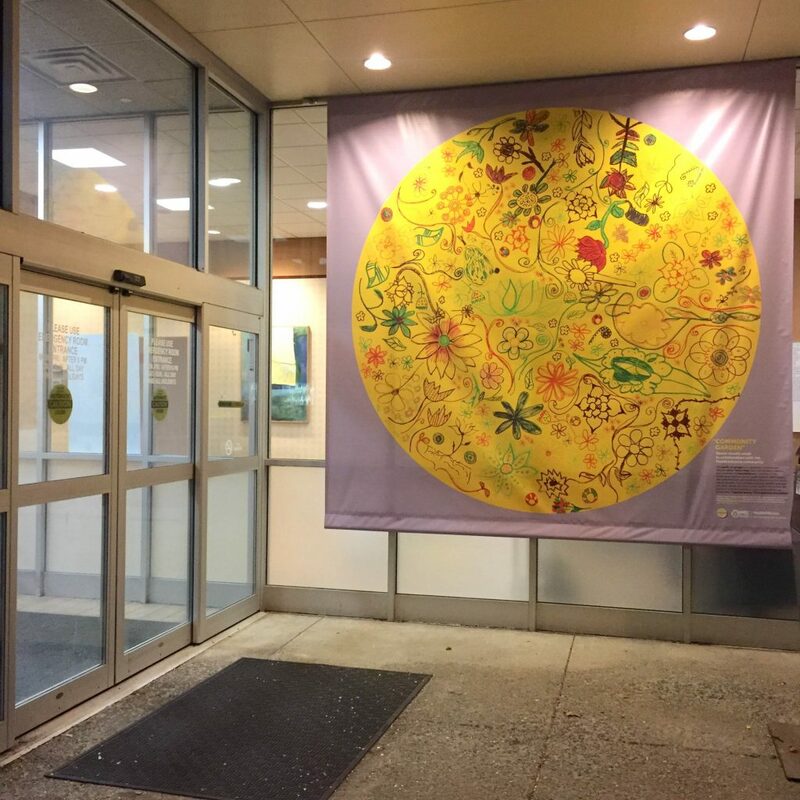 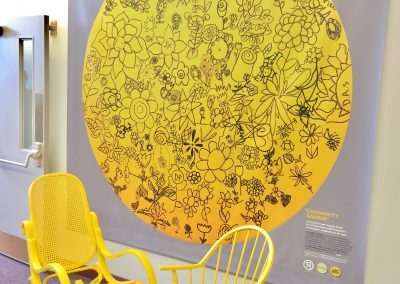 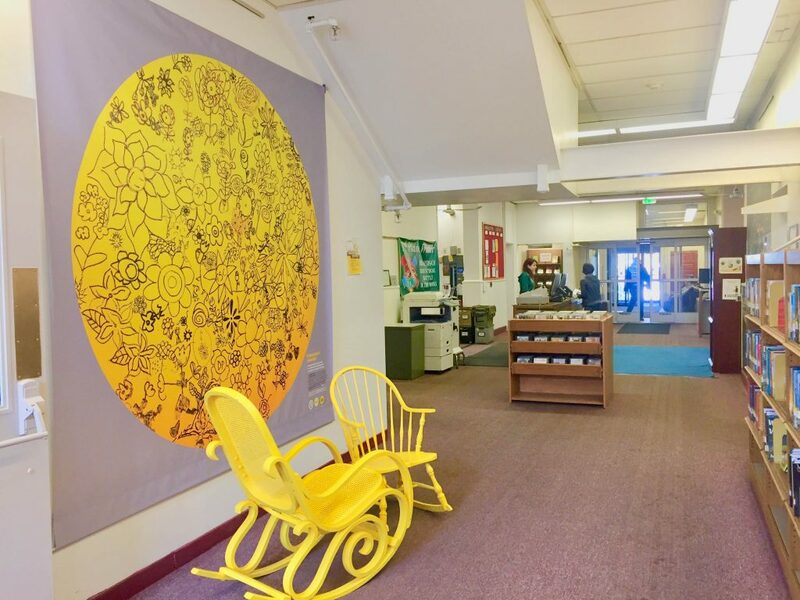 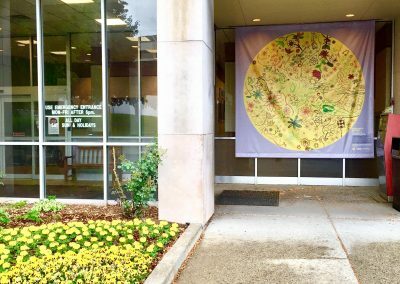 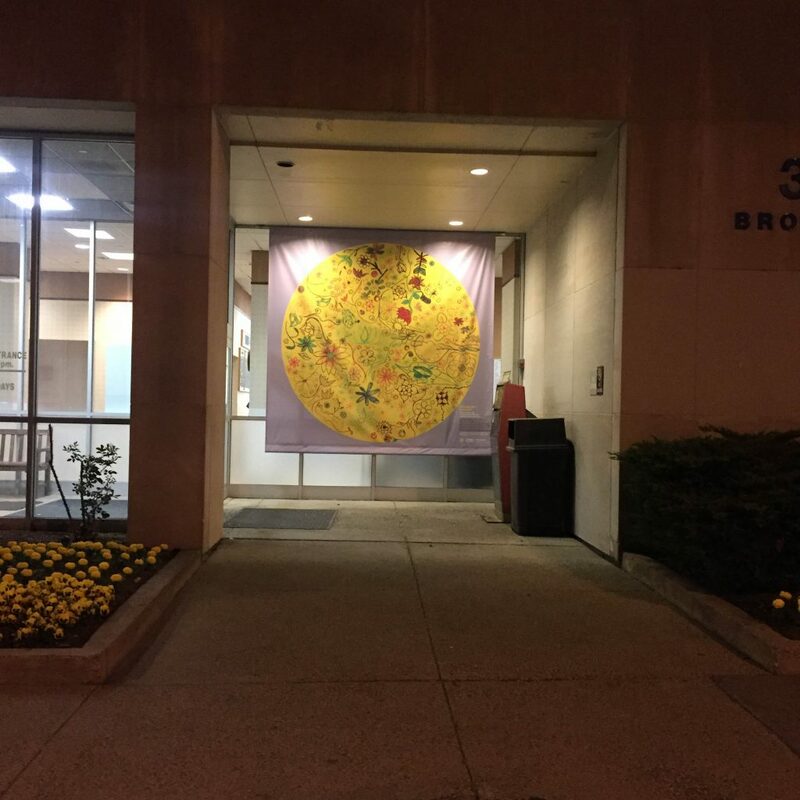 In 2018, Community Garden brought together the in-patient psychiatric ward in collaboration with hospital doctors and staff at Health Alliance WMC in Westchester with the resulting 16 foot mural installed in the hospital foyer. 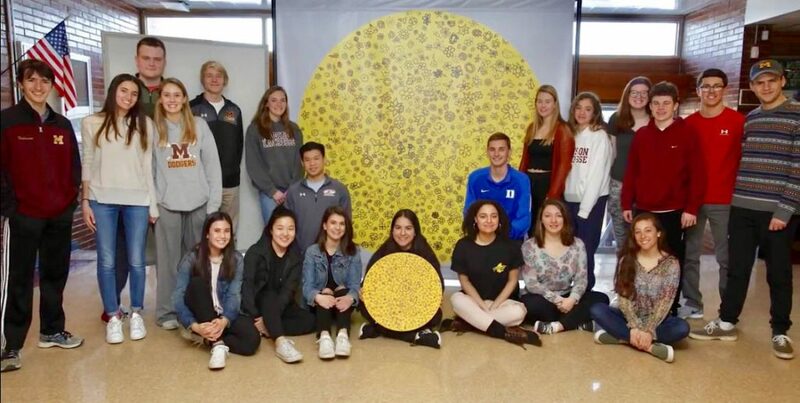 Also in 2018, hundreds of Madison High School students created a version for the students of Parkland High School in memoriam for gun violence.